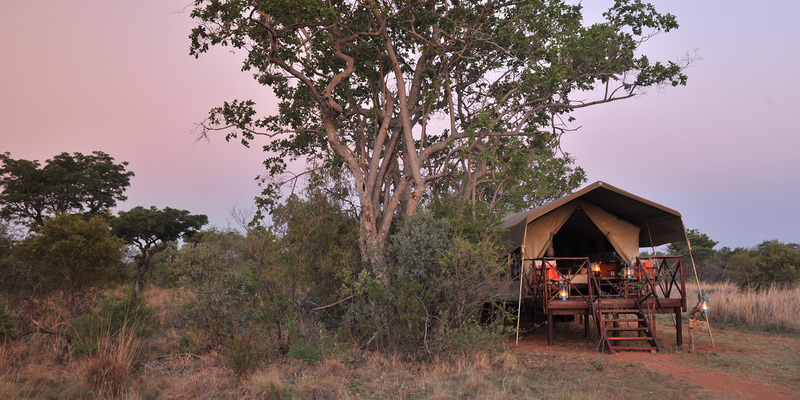 Retreat to the heart of the bush and to a time uncomplicated by the burdens of modern-day. Kick back and relax at Kwafubesi Tented Safari Camp, your romantic sanctuary in the exclusive 12000-hectare Mabula Private Game Reserve. 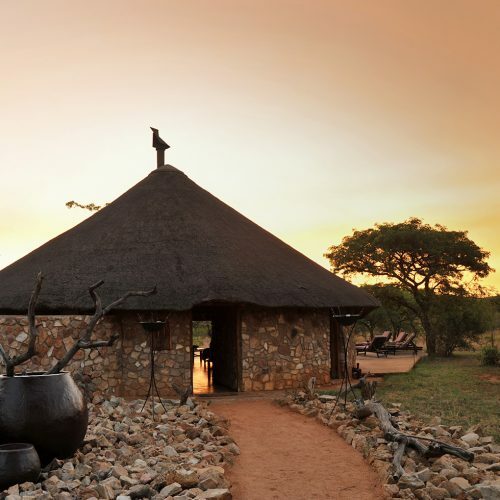 Rustic and unpretentious in every way, Kwafubesi promises an unaffected, authentic bushveld experience with its five luxurious en-suite elevated tents, homely atmosphere and completely enveloping beauty of the surrounding bush. Accommodating only 10 guests at a time, and no children under the age of 16, Kwafubesi Tented Safari Camp offers unrivalled privacy; an authentic, exposed encounter with nature; superb South African bush cuisine and the warmest of welcomes you’ll likely ever encounter. 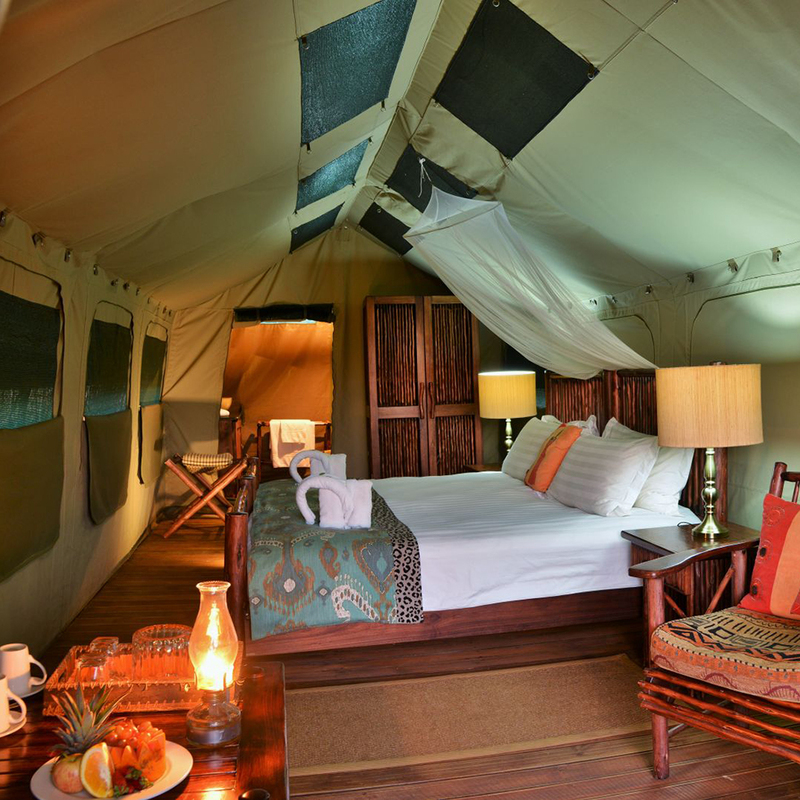 From private dinners in the boma and magical stargazing, to lazy afternoons on your private deck and sundowner G&Ts, Kwafubesi Tented Safari Camp is your home away from home. 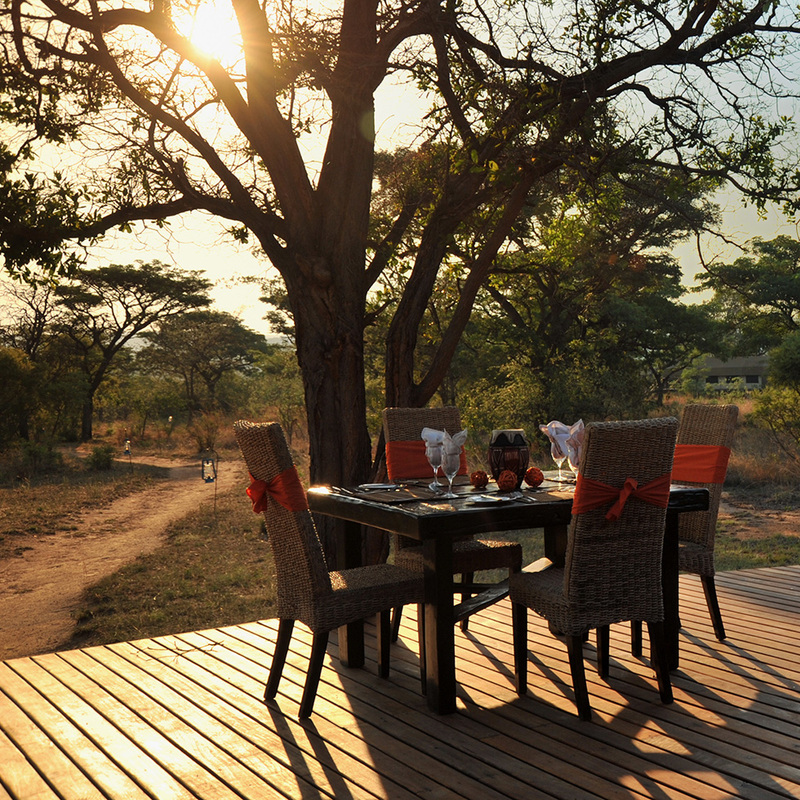 Blending in effortlessly with its bushveld surroundings on the edge of the magnificent Mvubu plain, your view will simply stretch for miles. 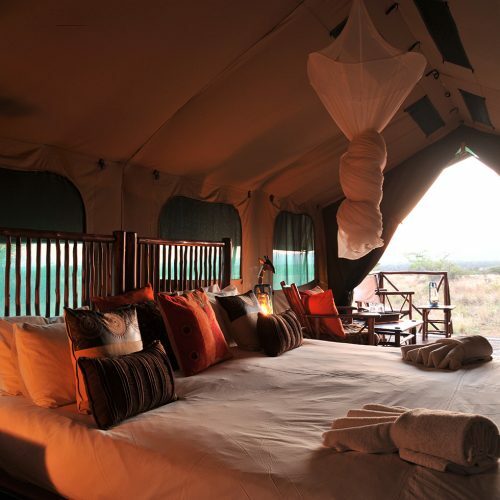 This luxury tented safari experience is ideal for couples seeking a secluded, romantic bush break, or a group of close friends wanting to spend quality time together. 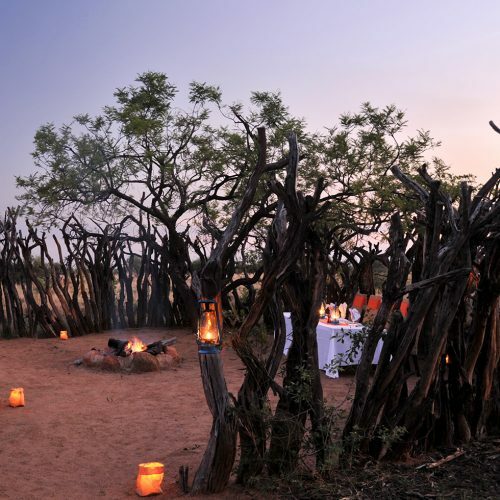 Set within an impressive 12 000 hectares of malaria-free Limpopo bushveld, Kwafubesi Tented Safari Camp is located 15 minutes’ drive from Mabula Game Lodge, just two-and-a-half-hours’ drive from Johannesburg and a short drive from Bela Bela. Turn off onto Pietersburg highway. Follow the road to bela bela. Take the Bela Bela settlers Codrington off ramp. Turn left at yield sign and proceed for ± 5kms to t – junction turn right. Go over bridge and turn left at the garage. Follow Thabazimbi Road. At circle turn left on the Thabazimbi Rooiberg Road and proceed along for 34km.  Look out for the “Mabula Trading Store”. 500m past the store turn right on Rooiberg Road. Follow Mabula signs for 11kms to Mabula gate. 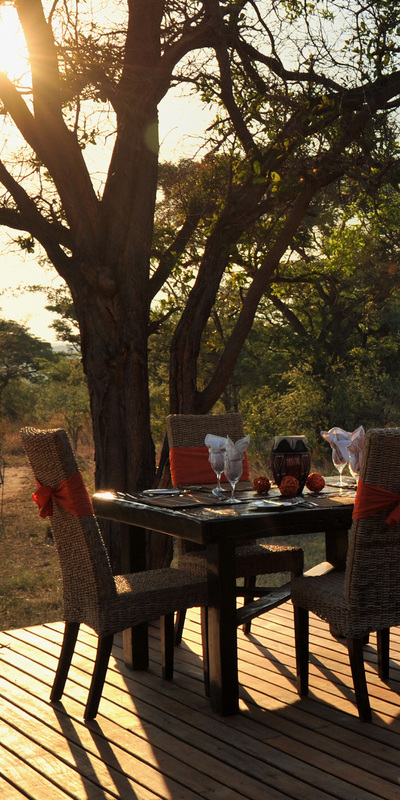 Small and intimate dining experiences are what you can expect at Kwafubesi Tented Safari Camp. 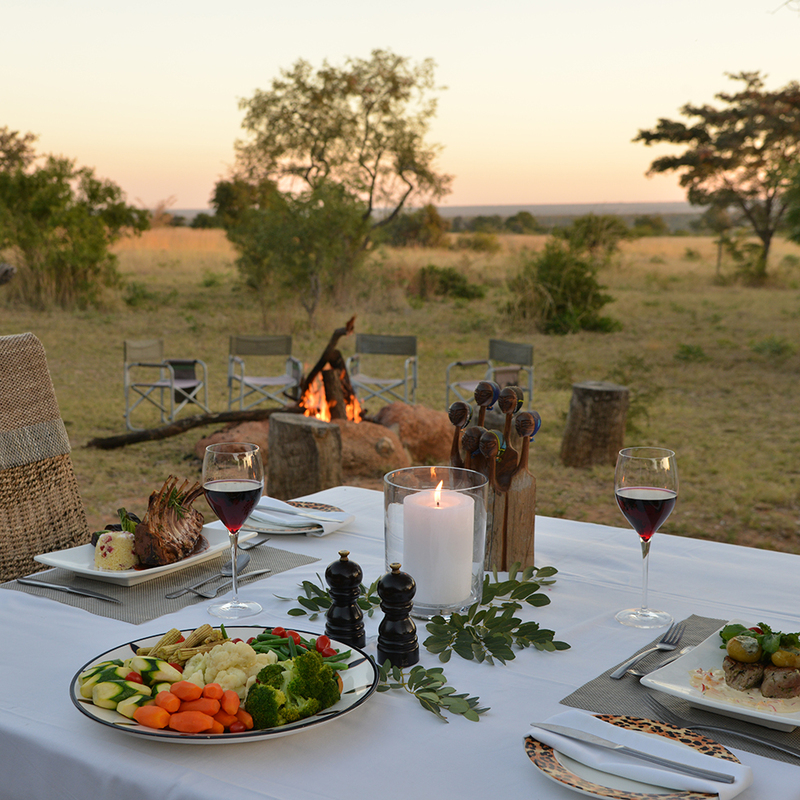 Indulge in Chef Stefan’s signature South African bush cuisine prepared with hearty doses of passion and creativity. From bushveld tapas to an authentic South African braai (barbecue), all dietary requirements and demands are catered for with ease. The informal ambiance of Kwafubesi mimics that which you would find at home. 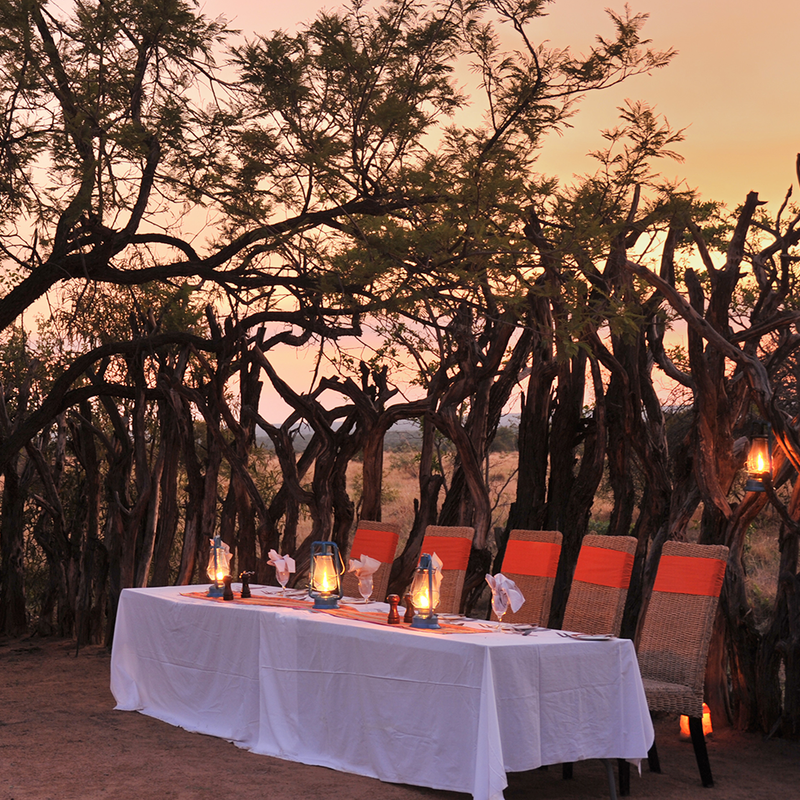 Breakfast on the deck in the sunshine of the African bushveld or enjoy a magical dinner in the traditional boma with only the starry sky and blazing fire to keep you company. 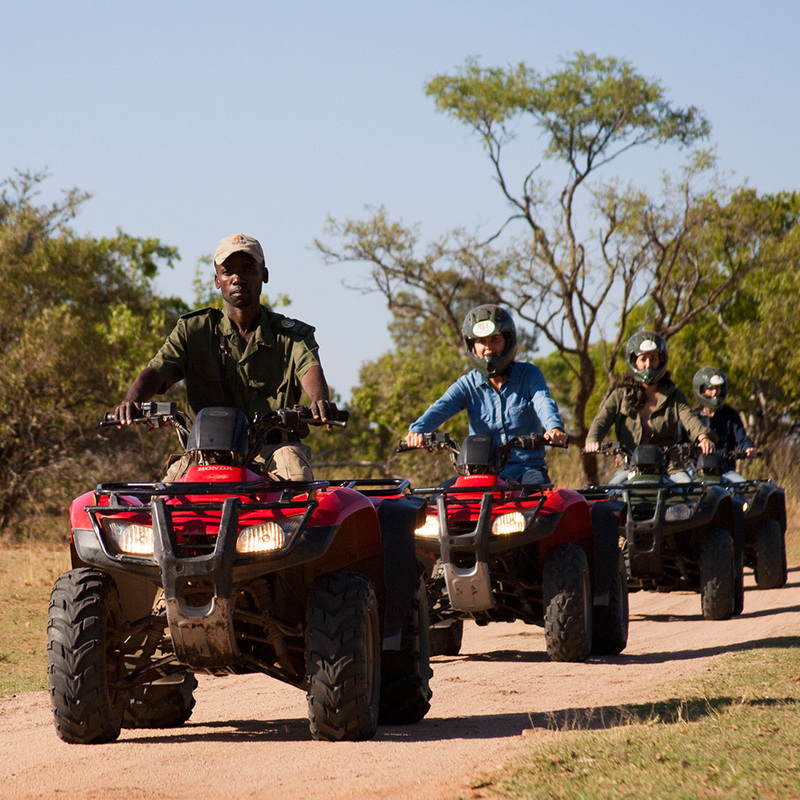 You could spend two weeks in Mabula Game Reserve and not experience the vast array of activities on offer for both young and old. From quad biking to bird walks, stargazing drives to dam picnics, fill your days and nights with all that the Mabula bushveld as to offer. 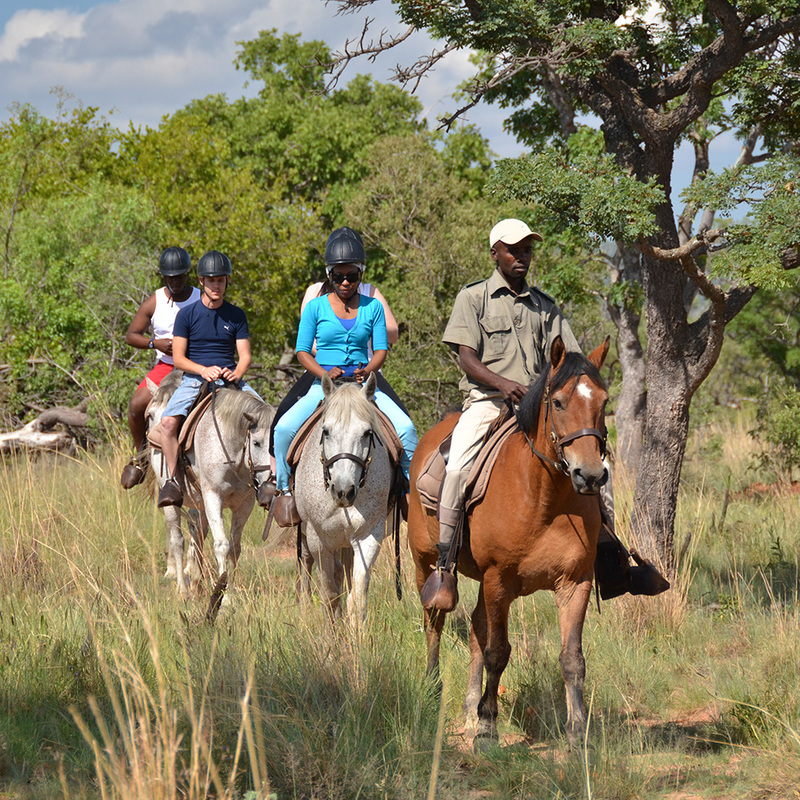 The Mabula Game Lodge is a veritable hive of activities offering such bush experiences as horse trails, quad biking and tennis. Keen birders will enjoy the regular birding drives or walks, spotting such species as the Amur Falcon, Lilac-breasted Roller and Red-crested Korhaan, while guided walks provide the perfect setting in which to follow animal tracks, identify plants and insects and spot some of the area’s most beautiful birdlife. 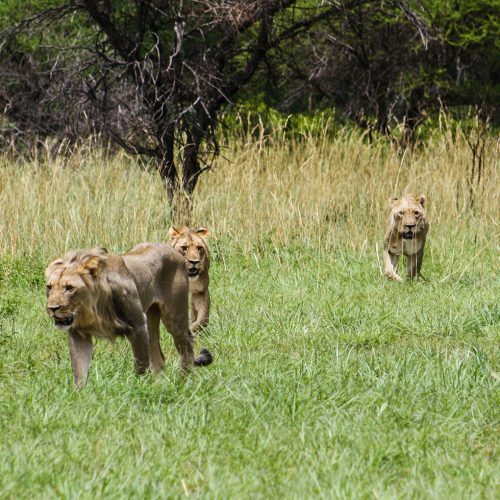 Picnic breakfasts or afternoon bush barbecues including game drives can be arranged, as well as dam picnics and the Majuma Experience that takes visitors in to the lion section of Mabula Game Reserve at night to see these magnificent creatures in their natural habitat, and perhaps even witness a hunt. 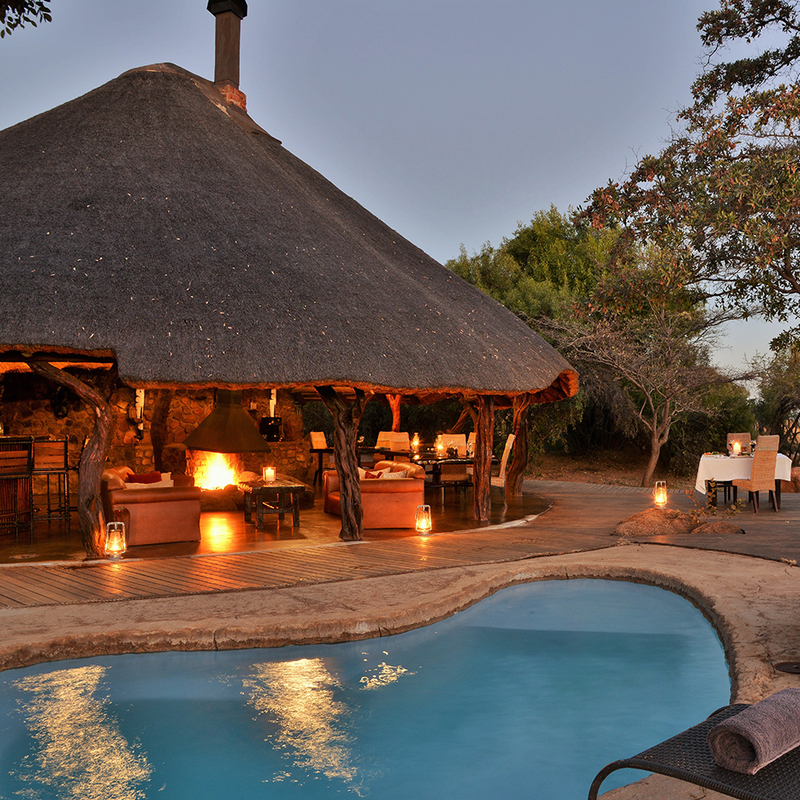 Cool off in Kwafubesi’s crystal clear splash pool, relax on the pool loungers reading a book or enjoy a refreshing cocktail flopped comfortably in the open lounge area offering spectacular views of the bush. In need of a bit of pampering? 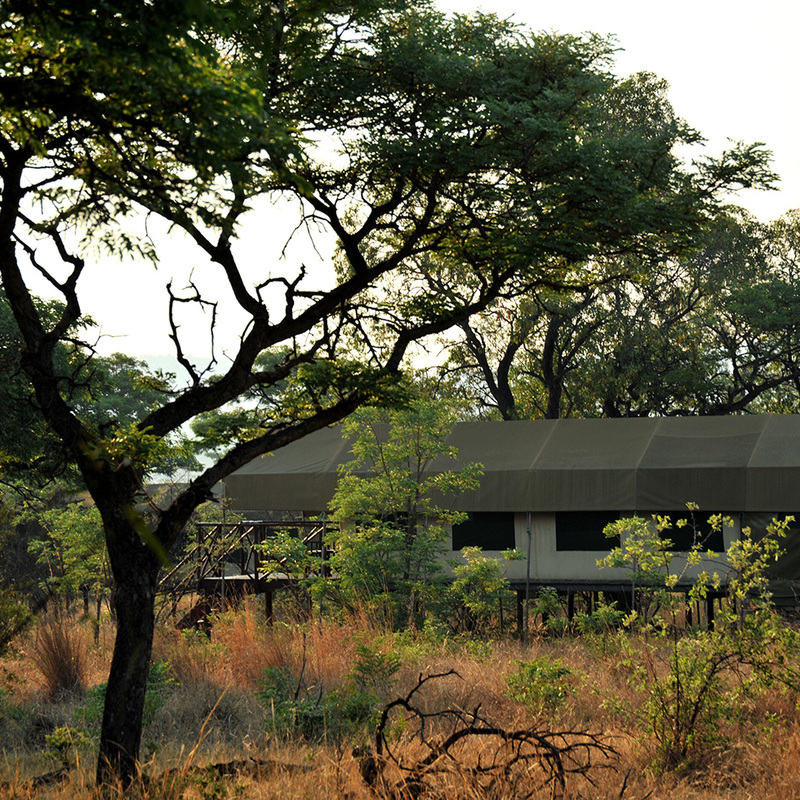 Kwafubesi Tented Safari Camp guests can enjoy a massage or range of beauty treatments in the comfort of their tent. Feel all your tensions melt away as the qualified therapists from Mabula Spa work their massage magic. From Swedish to Aromatherapy, Hot Stone to Fusion massages, there’s an array of relaxing treatments to revitalise body and mind. Additional facilities can be found at the neighbouring Mabula Game Lodge including a full spa, a superette, curio shop and tennis courts.